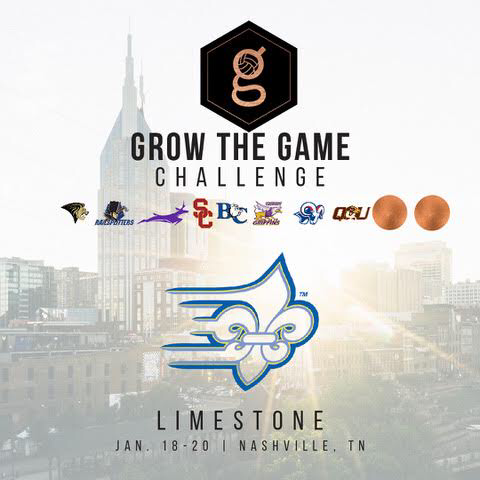 Limestone is heading back to the Off the Block Grow the Game Challenge in 2019. Off the Block announced Tuesday that the Saints for the second consecutive year will compete in the nation’s largest college men’s volleyball non-conference tournament. The Grow the Game Challenge is an annual event that brings regular season matches to an area of the nation that does not have a NCAA Division I-II men’s volleyball team. The 2019 tournament will take place on Jan. 18-20 at Cumberland University in Lebanon, Tennessee. Limestone during its first season under Benson had a roster primarily comprised of freshmen and finished 2018 in sixth place in the ConfCarolinas. The Saints also went 0-3 at the inaugural Grow the Game Challenge last season in Nashville. Despite the losses, Limestone forced fourth games against Charleston and McKendree, which were both ranked in the Off the Block/Springbak, Inc. Division II National Coaches Poll during the 2018 season. Among the Saints returning starters next season includes Francisco Salinger Cenzual. Cenzual was fourth in the ConfCarolinas with a 2.82 kills per game average and was named the 2018 ConfCarolinas Freshman of the Year.